Amplifying Nature is a concept proposed—by the eponymous project presented in the Polish Pavilion—to reconstruct the planetary imagination of architecture. The causal aspect of nature, the material basis of biological existence, has been removed from the view of construction for living, working and resting. The Amplifying Nature project stands for the opposite: the transcorporeality of architecture, meaning that processes involved in the reproduction of the planet as we know it mediate the social routines in the form of buildings we inhabit. The universe speaks to us in the language of architecture. Members of Warsaw-based CENTRALA architecture studio have analysed the phenomena of gravity, light oscillation and water circulation in modernist projects created in socialist Poland on the verge of Great Acceleration with an empathy for and understanding of the Earth’s workings. 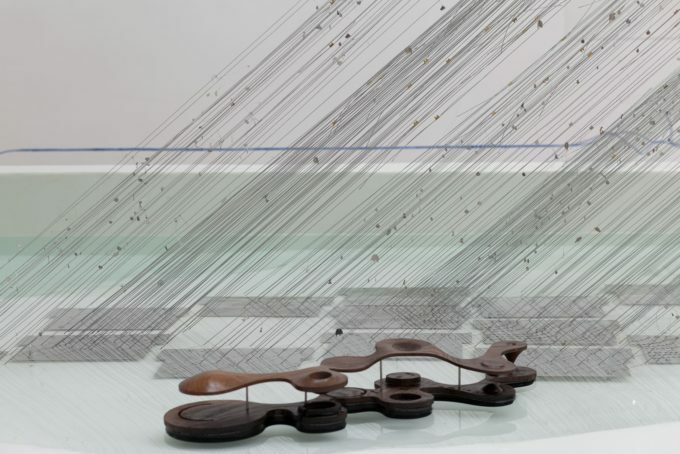 They have also designed two new ones, taking the natural processes hinging on the phenomena—rain and circadian rhythms—as actual matter of architecture. This proposal, which acknowledges that geological and life-sustaining metabolism of the planet are changed by humans in general, points to the local and particular modes of imagining and constructing the collective life. The exhibition can be approached on three levels. It presents the research on selected 1954–1976 works by affiliates of the Art and Research Unit at the Academy of Fine Arts in Warsaw, also these who became known for their later individual practices: Team 10’s Oskar and Zofia Hansen, and visionary Jacek Damięcki. It premieres the new sculptural interpretation of these taken-for-granted processes undergirding both the planet and architecture. In this venture, CENTRALA collaborates with sculptor Iza Tarasewicz to create the affective and materially responsive environment of the exhibition. 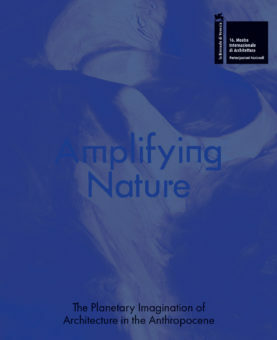 It also proposes the concept of “amplifying nature,” capturing this dynamic in various scales and a collection of research materials and interdisciplinary conversations in the book Amplifying Nature. The Planetary Imagination of Architecture in the Anthropocene, edited by Anna Ptak. During the preview days in Venice Polish Pavilion will host a conversation between the authors of the two books accompanying the works by CENTRALA in the Polish Pavilion and DESIGN EARTH in the US Pavilion at the Architecture Biennale in Venice. How do we make sense of the Earth at a moment in which it is presented in crisis? Geostories is a manifesto for the environmental imagination that renders sensible the issues of climate change and through geographic fiction invites readers to relate to the complexity of Earth systems in their vast scales of time and space. 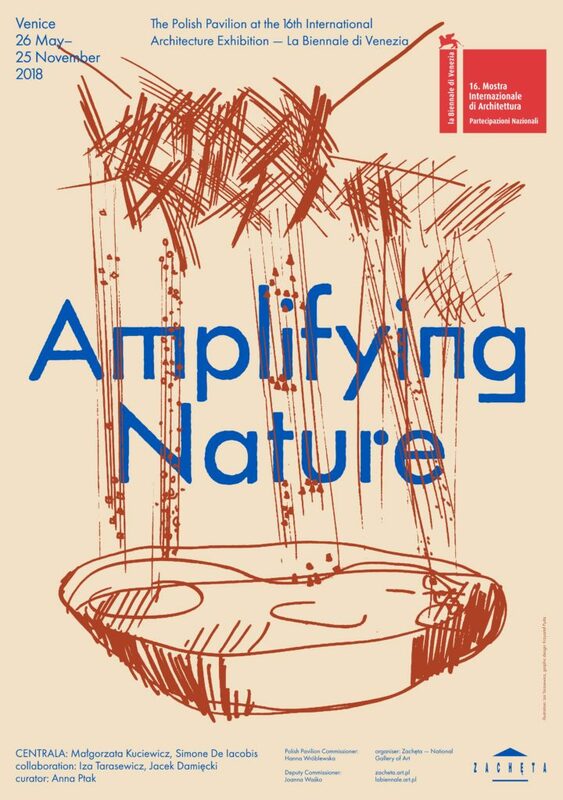 Amplifying Nature takes off from five spatialised locally design assemblies to propose a reconfiguration of the narrative on nature-in-architecture and architecture-in-nature. In their optics the planetary scale—the Earth as geological/pluriversal system supporting life as we know it—is indispensable to go on with architectural thinking. 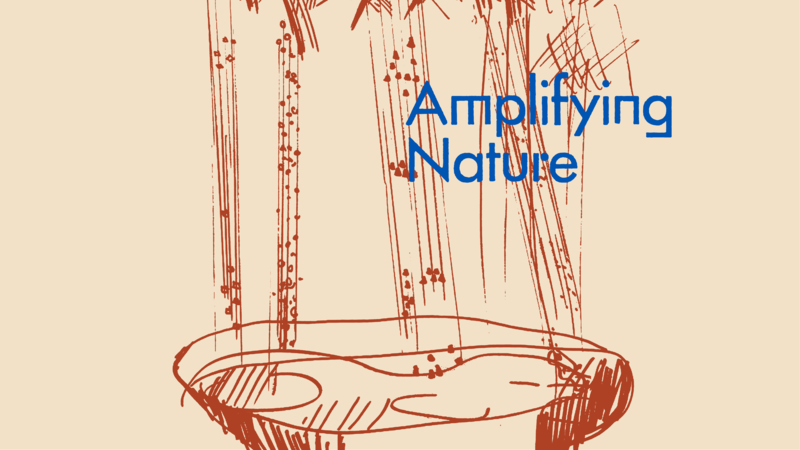 The presentation at the Polish Pavilion is accompanied by the book Amplifying Nature. The Planetary Imagination of Architecture in the Anthropocene, edited by Anna Ptak and designed by Krzysztof Pyda. Polish participation at the 16th International Architecture Exhibition of La Biennale di Venezia was made possible through the financial support of the Ministry of Culture and National Heritage of the Republic of Poland. CENTRALA — Małgorzata Kuciewicz, Simone De Iacobis – is a Warsaw-based architecture and architecture research studio, founded in 2001 as a creative platform by architects/designers/artists Krzysztof Banaszewski, Małgorzata Kuciewicz, Jan Strumiłło, and Jakub Szczęsny. Małgorzata Kuciewicz and Simone De Iacobis (who joined the team in 2010) have been running CENTRALA since 2016, pursuing an agenda of independent research, reinterpretation, and interventions aimed at renewing the language of architecture. Authors of dozens of exhibitions, projects in public space, and artistic interventions in Poland and internationally. Iza Tarasewicz is an artist, sculptor, author of spatial installations, sound works, and performances. Her art balances between thorough investigation of the material and physical foundations of life, the unity of the organic and inorganic, and a vitalistic approach, intuitive and rooted in practices of rural resourcefulness and craft. Author and participant of numerous solo and group exhibitions around the world, winner of Views 2015 – Deutsche Bank Award. Anna Ptak is a cultural anthropologist, curator of artistic research projects, focused on the ecological and political aspects of cultural practices. Editor of books, co-author of the international artist-in-residence programme and curator of exhibitions at the Centre for Contemporary Art Ujazdowski Castle in Warsaw, e.g., kurz/dust/ghobar (2015, with Amanda Abi Khalil), Maja Bekan: 23 zgromadzenia (2017), Blue Box. Five Pieces on a Background (2016, Izolyatsia, Kyiv). Jacek Damięcki is a Polish architect and inventor. His uncompromising spatial concepts and syncretic designs combine elements informed by the experience of multiple disciplines – art, geometry, sports. Since the 1960s, author of architectural and exhibition designs as well as large-scale spatial and painting installations. Author of the largest artistic installations ever presented in the public space of Warsaw: Warsaw: Three Decades (1974) and Clouds (1994). In 2016, Zachęta National Gallery of Art presented his solo exhibition (Jacek Damięcki. Macro-Forms).